Right around the time Wal-Mart starts to fill their aisles with Christmas lights and silver flocked faux trees, many of us start to panic as we realize that the holidays are right around the corner. By now if you haven’t found your Christmas card list, figured out where you’re spending Christmas eve and day, and decided what you want to with your kids for the two weeks they will be out of school– you are in deep trouble. And not the “I maxed out my credit card on Black Friday and Cyber Monday, but I have ALL my Christmas shopping done!” kind of trouble. 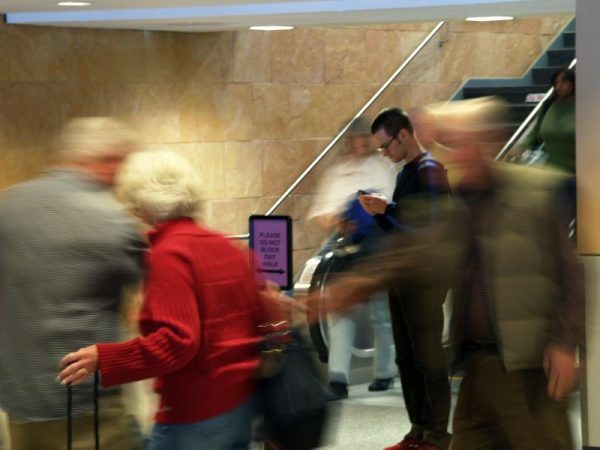 Holiday travel is pretty much the 10th circle of hell. For most of us, traveling during the holiday season is almost mandatory. I’m sure I’m not alone in dreading the thought of driving for several hours or catching a three hour flight to visit in-laws, or the parents, or for some of us, to see children and grandchildren. It’s not that we dread seeing our family—that’s the good part. The thing we probably hate about traveling during the holidays is the time and effort it takes to plan the journey—and then the tension and anxiety that surrounds us the days we’re visiting family. First it’s the making of the reservations, clearing the schedules, over-packing and over-thinking, and then all the hassle of traveling from one city to another. And we haven’t even gotten to the gift buying/present wrapping part yet. Or the cooking part. Or the dishes. For those of you hot singles reading this, let me put it into perspective for you. Think of all the great Thanksgivings or Christmases you’ve had, hanging with your friends, having Chinese food and cocktails, while the world around you dines on dry turkey and boxed wine. Instead, you drive or fly coach for several hours, only to arrive at your childhood home to be relegated to sleeping on the couch because your Great-Aunt Mary is sleeping with your teddy bear. Try to enjoy Christmas. Just think- you can always shop the next day. Pretty dim, huh? If you can relate, then perhaps you need a few tips on how to travel like a rock star for the holidays, even when you’re headed to Timbuck-nowhere to visit family—related or not. 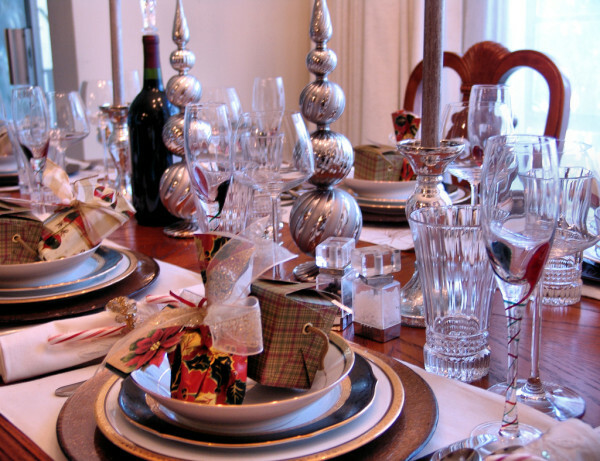 These tips come from many test runs at staying with family, during various holiday weekends, either by me or by people I eavesdrop on at work. Be sure to pay attention folks, because this may save you a few gray hairs or another wrinkle, and with the money you will save not having to have your roots done or an extra shot of Botox, you can spend it on the best day in December– the day after Christmas when the entire world goes on sale. When she says this, just picture a threadbare pullout sofa in the basement, or air mattresses on the floor, or sleeping in one bed with your children and your husband, and break out your credit card. 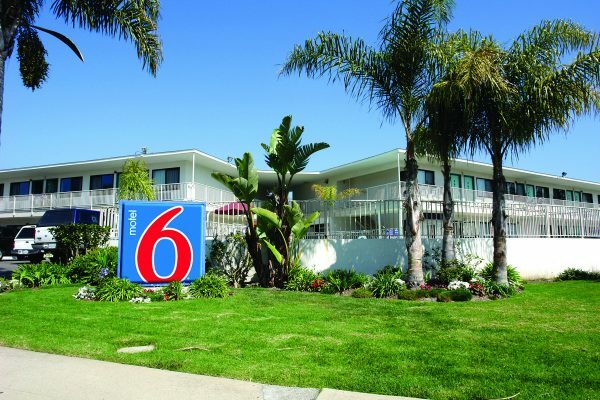 Even Motel 6 is better than sharing a bathroom with your father-in-law. If you are wondering why I encourage the dipping into your children’s college fund to stay at a hotel during the holidays when rates double—then I know you have never stayed with family–ever. Trust me, it will save you from saying something you will regret, keep your nosy family members out of your personal business, and perhaps keep them from knowing your husband’s pet name for your naughty parts. Plus all the hot water, toilet time, and counter space you want. It may not cost $6 anymore, but it doesn’t matter HOW much it costs—get a room. You need to have your own wheels. If nothing else so you can have a way to escape when you want to. Nothing is worse than having to ask your mom for the keys to the car. No asking—you’re a grown up. Rent a car or bring your own. This will make getting around, as a family, easier as there will be one more vehicle to transport folks to and from planned outings. You’ll also have less anxiety about having to run a quick errand to pick up a fresh toothbrush or just to get coffee because you cannot drink another cup of Yuban. Plus you need a way to get out so you can talk to and walk amongst those who are sane. This may not be a popular option with those you are staying with, but this is very important for you and the relationship between you and your significant other. Don’t be afraid to tell your hosts that you want to check out a museum, a historical spot, a local gallery, or the largest ball of twine exhibit in their city. Not because you want to learn more about their regional culture, but because you MUST get away. Lie to them. Tell them anything so you can escape. Tell them the kids need to go and visit the Big Peach for a fruit project they are doing for school. Or the kids need to go to the #1 zoo in the Nation so they can finish a science project. Better yet, say the kids need to write a paper on grapes, so you can go wine tasting in Napa. Do it. You will thank me later. If you don’t have kids, tell them you need to finish a report for work and run off to Starbucks for a few hours. Or say you need to exercise to have calories to spare for Christmas dinner. At least you can get in some “me time” before you share hours around a table hearing stories about your childhood or mom starts passing around your adorable baby pictures. I don’t want to encourage pre-alcoholism, but for those of you who have to spend the holidays with your family, and you don’t have your own space, have to ask to use the car, and have no chance of escape, the only thing left to do is to drink. You probably won’t be drinking cool cocktails, but you could at least bring a bottle of champagne to “celebrate” and make Mimosas, or fill your flask and spike that spare can of Coke you find in the fridge. 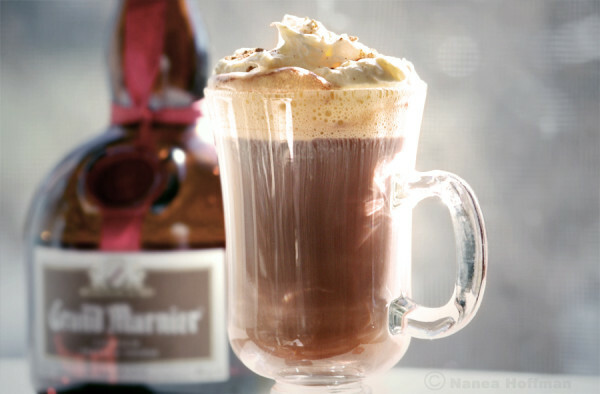 Just tell Grandma you’re drinking hot chocolate- this one is just filled with Grand Marnier. It will take the edge off when someone asks why your daughter isn’t helping in the kitchen, or why your son has his nose in a book and isn’t watching football. Or why you are not making the turkey. Or rolling out a piecrust. Or when you’re going to lose ten pounds because you have such a pretty face. Yep, when reality bites, spike your water just so you can get through Christmas without killing someone or yourself. You can spend the next week abstaining, but at least you won’t be drying out in jail. Bottom line is, when traveling to visit family for the holidays, keep in mind that you need to nurture yourself, your significant other, and your children– if you have them, or want to ever have them. You love your family and you want to continue loving them after the holidays end. So take my advice and use my tips to try and enjoy your family. You know you’ll have a great meal, and you may save your sanity enough to sincerely want to return next year. If you have a great time this holiday season, consider that my Christmas gift to you. So have fun and don’t think about all those bills waiting for January to arrive. HAHAHA You truly made me appreciate that i never had to go thru that!!!! Oh Wendie! I’m lucky I’ve never had the need to travel anywhere for Christmas. But you bring up some very valid points and some very real reasons why, in my family, everyone comes to MY house Christmas day! I have everything I need to survive a day with the in-laws. I have an abundant supply of alcohol on hand. I can pretend to be completely absorbed in the kitchen with preparations, even when I have everything well in hand. When all else fails and I need to escape I can retreat outside for a cigarette (even thought I don’t smoke!) or to the bathroom with a “problem” that takes several LONG minutes to address (and take my cell phone in there for good measure! LOL). I tell certain people to come anytime they want after 11:30am but tell certain other people no one is showing up until 1pm. I make sure to properly anesthetize with previously noted alcohol well beforehand.